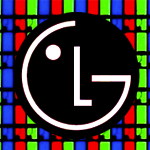 In South Korea, there's a never-ending war between Samsung and LG for display superiority. The latest salvo fired comes from the latter, which announced an astonishing new smartphone IPS-LCD panel yesterday. The 5.5-inch prototype screen uses a WQHD resolution of 2560x1440 (seen elsewhere on 27-inch monitors). The density is 538 pixels per inch, the highest of any mobile screen to date. And the density isn't the only record that this screen sets. It's also the thinnest mobile screen in the world at 1.21mm, beating LG's own record of 2.2mm set just last month. They've managed to shrink the bezel as well, down to just 1.2mm. That's arguably a more important accomplishment considering the market shift towards larger and more unwieldy screens. Is this kind of monster resolution practical in a smartphone? No. No way, no how. If anything, putting higher and higher resolutions into (relatively) small screens will only tax the limited resources of mobile processors and batteries, without any real benefit to the user. But things like sense and prudence are hardly relevant when it comes to a corporate arms race. 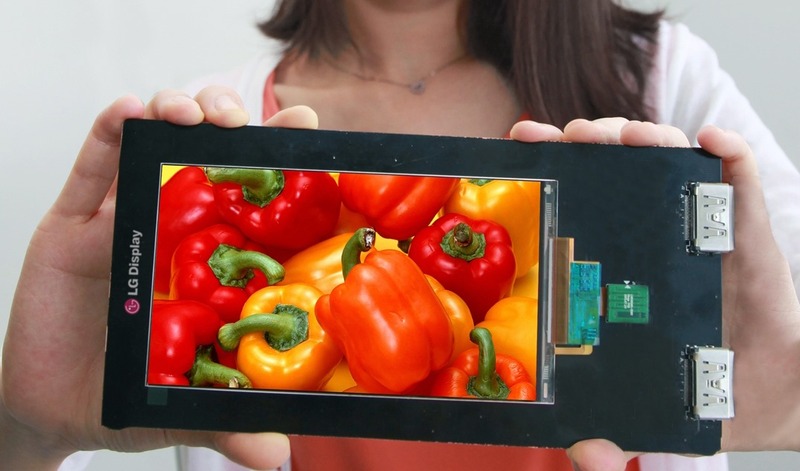 LG isn't saying when it plans to make production phones with this new generation of LCD panel. It will take time for the economies of scale to apply, and it's not as if the screens on today's smartphones are anything to sneeze at. But you can bet that this screen or something very much like it will appear in an LG flagship before too long, then make its way to LG's OEM partners. I'm betting we'll see 4K smartphone concepts at CES 2014... for better or worse. Surprise: Leaked LG Enact Photo Shows Slide-Out QWERTY Keyboard, "Days Away On Verizon"